Who won the American Idol Season 16? The votes are in and the winner will be revealed on Live Finale tonight, Monday, May 21, 2018. American Idol 2018 Season 16 will name its winner at the end of the star-studded Live Finale Results show tonight. The winning artist will be determined via the public vote. 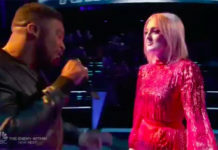 The singer with the highest total number of votes will be declared as American Idol Season 16 grand winner. 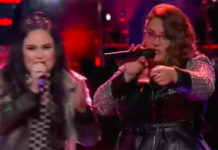 Last night, the Top 3 finalists Caleb Lee Hutchinson, Gabby Barrett and Maddie Poppe perform live for the votes of America. Each singer performs three songs including Hometown Dedication, Reprise Performance and Winner’s Single. 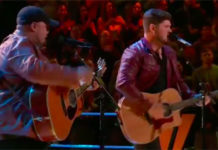 Below are the performances of the American Idol 2018 Top 3 finalists. Who do you think is the next American Idol? 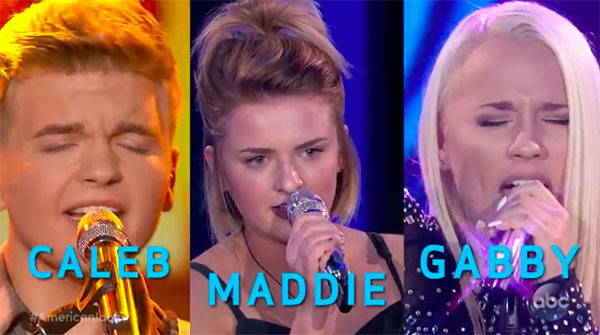 Caleb Lee Hutchinson, Gabby Barrett or Maddie Poppe? Keep locked on this page, live results and winner will added below once announced.